The City Mall with its ultra modern architecture and stylish setting of extensively landscape greens will be identified as Gwalior’s 21st century landmark. Designed to be an earthquake resistant structure with bigger span pillars the City Mall will create a feeling of solidity while retaining elegance. Provisions for rainwater harvesting, a waterfall and fountains will also add to the City Mall’s distinctive eco-friendly appeal. 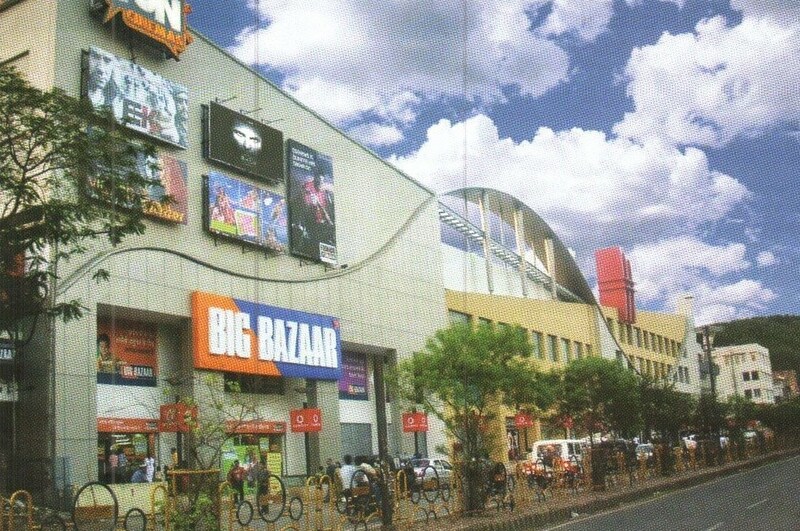 Anchored by Big Bazaar, Fun Cinemas and McDonald’s, the mall has a 500 ft. wide frontage on the 100 Feet Main Maharani Laxmi Bai Road. Featuring a huge 8,000 sq.ft. atrium, its total built up area is around 2,40,000 sq.ft., containing more than 150 outlets consisting of kiosks, showrooms, bazaars, restaurants, and anchor stores ranging form 80 sq.ft. to 30,000 sq.ft and a Fun multiplex operated by Fun Cinemas. The mall’s specialty shopping floor concept features Gwalior Bazar, a typical Indian Bazar in a five star ambience, Brand Plaza (Ground Floor) which contains white goods, kitchen appliances, clothing, chain stores, anchor stores, etc, La Mode (First Floor), framed as hub of fashion and lifestyles — fashion wear, perfumes, jewellery, watches, opticals, footwear, leather goods, beauty care products and services. In addition, there is Broadway (Second Floor) for a fiesta of food and entertainment, a large food court, two fine dining restaurants and Music Shop, and Fort View, the top floor with breathtaking panoramic view of Majestic Gwalior Fort and the stately Jai Vilas Palace.